Windows 10 was met with much acclaim (and some criticism), but one of its most interesting qualities is Microsoft’s promise to make it the ‘last’ Windows. That means updates will come in frequently rather than through major version number changes. The first big update to Windows 10 for regular consumers arrives today, following the Windows 10 update for Xbox One earlier this morning. Think of it as the first service pack, although Microsoft isn’t calling it that. If you’ve signed up for the Insider program – basically the Windows 10 public beta-testing group – there won’t really be anything new if you’ve already updated to the latest build. 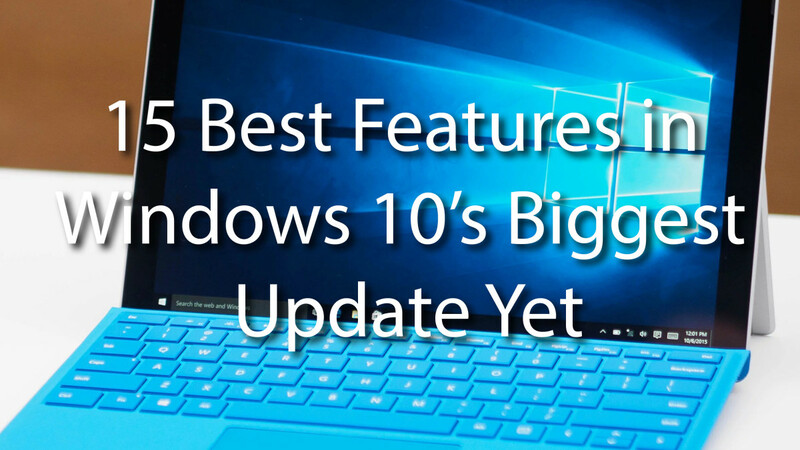 For everyone else, there are some significant usability enhancements that have amassed in the various builds since Windows 10 went live. You should expect big improvement in performance, with ‘everyday tasks’ such as boot time being 30 percent faster on Windows 10 than Windows 7. Cortana is now able to recognize handwritten notes and transcribe them into reminders or phone numbers. Like Google Now, she’s also able to track your event movie bookings, or even order an Uber. Edge is also faster and now features a preview when you hover over a tab. It also syncs your passwords, favorites and Reading List across devices, and Cortana will now automatically point you to coupons when shopping online. But the official post doesn’t mention many of the improvements insiders have seen since Windows 10 launched in July. Many of them are subtle or small changes that make the OS a lot more pleasant to use. Casting in Edge: You can now cast video right from Edge onto any Miracast or DLNA devices, such as Chromecast, Xbox One or Roku. It doesn’t yet work with protected content (sorry Netflix fans), but it handles YouTube and such just fine. New Messaging+Skype App: Microsoft has an all new native Messaging app for Windows 10. (including Skype integration) It’s still in preview so it’s pretty bare bones at the moment, but it allows you to reply right from notifications, which is neat. Cortana can also send texts through your phone if you have a Windows device. Automatic snapped window resizing: When you have two windows snapped side-by-side, you can now simply drag at the center to resize both apps at the same time rather than fiddling with the border of each one individually. Previously this only worked in tablet mode. Tablet Mode improvements: Windows 10 is great and all, but Windows 8 handled some tablet features better. For example, it used to be easy to replace a snapped window by simply by swiping in from the left, but that feature was lost in the initial release of Windows 10, making it harder to multitask on tablets. Thankfully, it’s back now. Also making its return: you can just swipe down to close an app again, yay! Quick DPI changes: Most devices with high-resolution screens scale up content so everything doesn’t look tiny. Sometimes, however, you want the extra space benefits of all that resolution. Now when you change the scaling in your Display Settings, changes are applied immediately. Colored Windows: While I think everyone agrees Windows 10 looks better than Windows 8, some users missed being able to set app title bars any color they like. Now you can thanks to a toggle in Personalization > Colors. Wider Start menu: If you have a bazilion apps, you can now add an extra column to groups in the start menu. Also, the maximum app limit has been increased from 512 tiles to 2048, which is kind of ridiculous, but I’m not complaining. Memory Manager: Allows Windows 10 to compressed unused pages instead of writing them to your disk. In practice, that means less memory used per process, and better overall responsiveness. Most notable for devices with little RAM. Speed Shift: If you have a new Skylake processor, a feature called Speed Shift is being enabled for the first time to significantly improve responsiveness. It doesn’t improve maximum processing capacity, but it allows your computer to change clock speeds much more quickly, making things feel more responsiveness without negatively impacting battery life (and sometimes improving it). 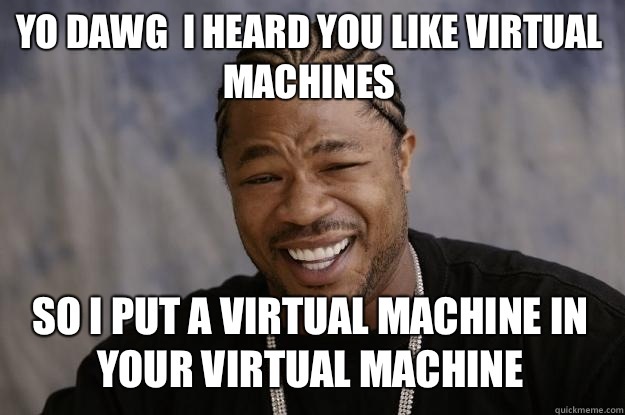 Nested Virtualization: You can now run a virtual machine inside your virtual machine (cue Xzibit). It’s Windows-ception. Most of these changes aren’t dramatic shifts the every user will notice. In fact, many people will likely upgrade without noticing anything at all: the changes will arrive like any other via Windows Update. Still, some of the subtle changes will come in handy when you’re not expecting them, especially if you’re on an underpowered computer. Let’s just hope that by the next big update, Edge will finally get extensions.